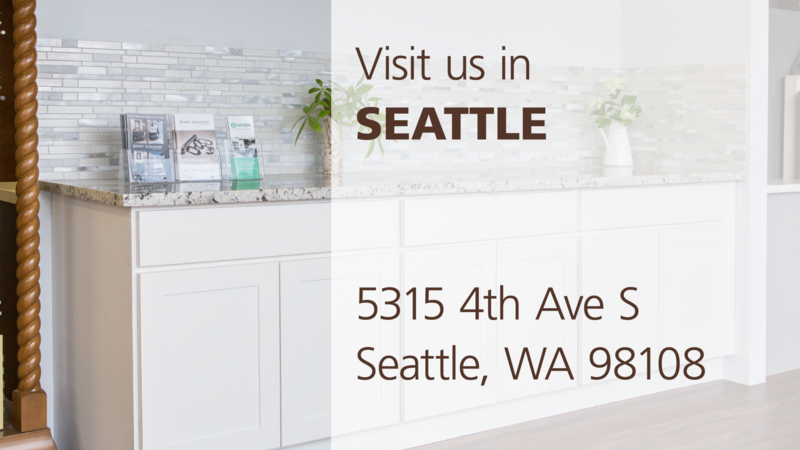 and the Seattle Home Show in February! Congrats to lucky draw winners! 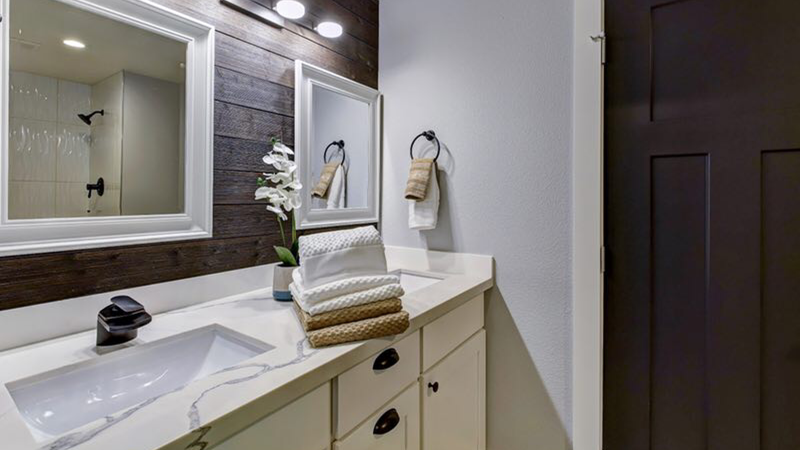 Those of you who scheduled appointments or requested information, you will hear from us soon! 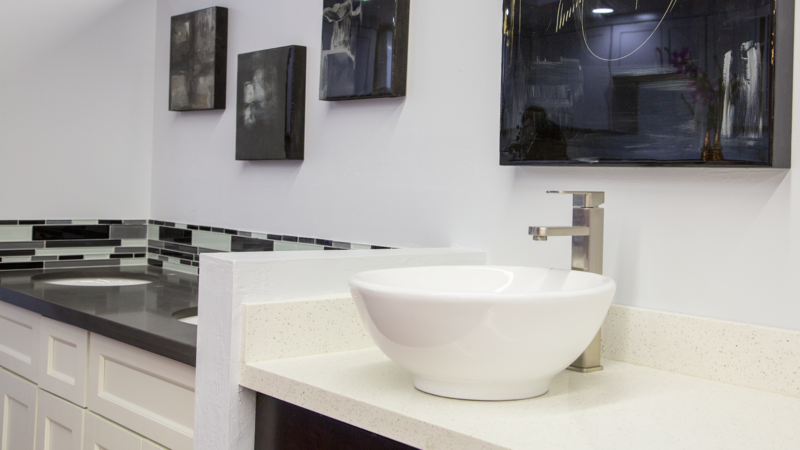 If you bought your magic magnetic faucets, enjoy, have fun, and share the joy with your friends! 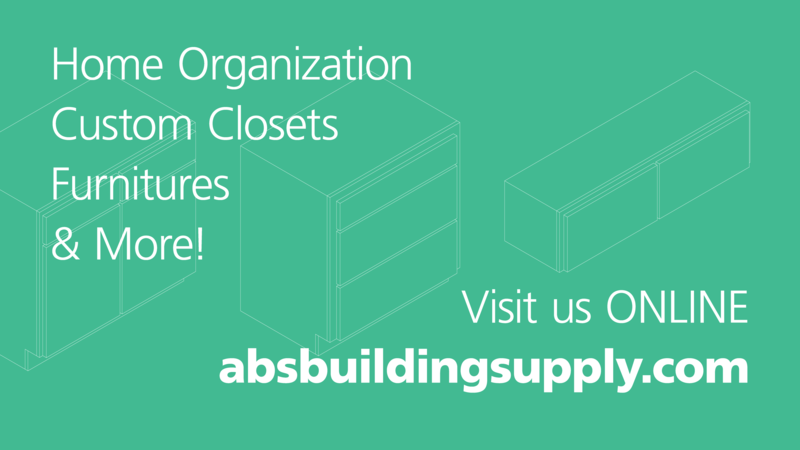 First off, we are a cabinet manufacturer. Just because of that, you’re not paying for costs from middlemen like sales and distribution channels, wholesalers and retailers. 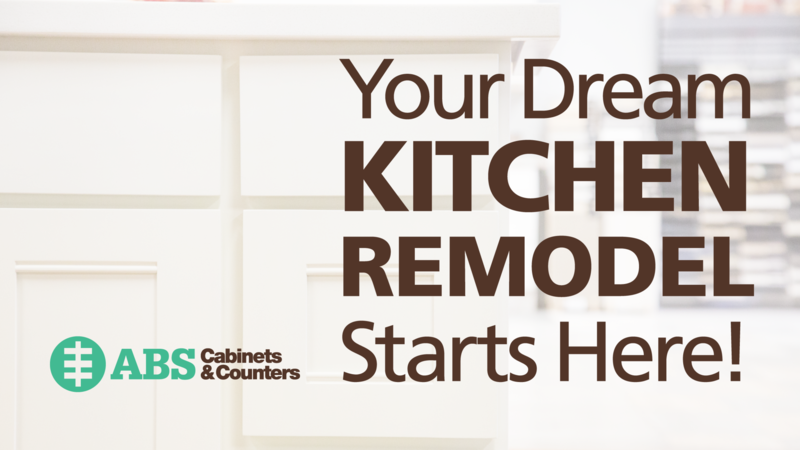 Visit us and get an estimate from our kitchen remodel experts! 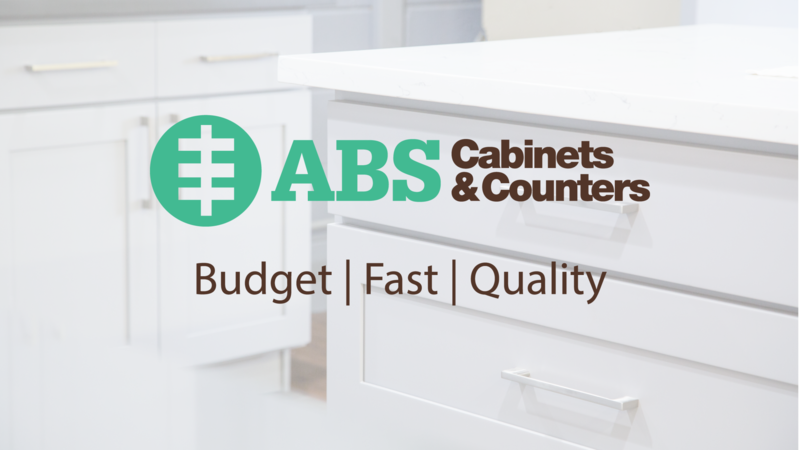 Our ABS cabinets are built with durable solid wood. 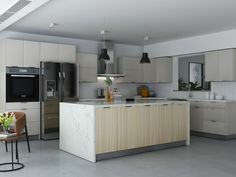 The only down sides to solid wood are its weight and its price. We took care of both for you! 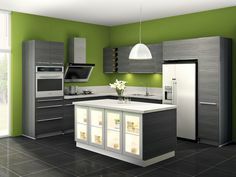 We are selling at a price similar to composite wood cabinets you get at most big box stores, and we install for you at an affordable rate. 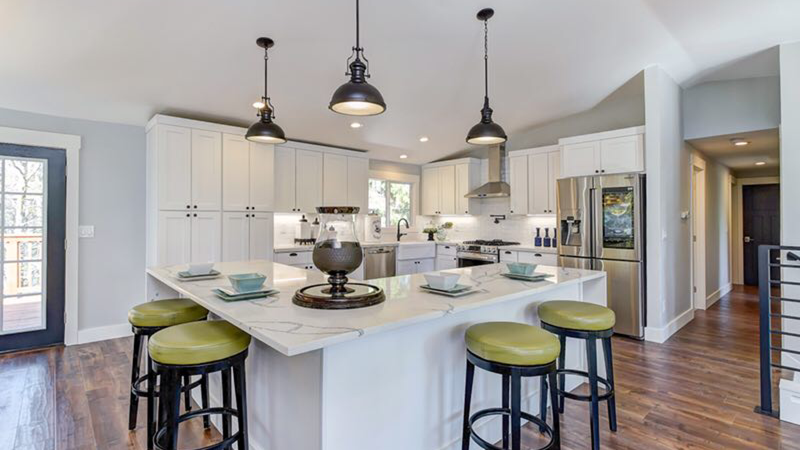 Visit us and see for yourself! Also, we keep our process lean by stocking a wide variety of styles, colors, and sizes, rather than getting into the business of customization. 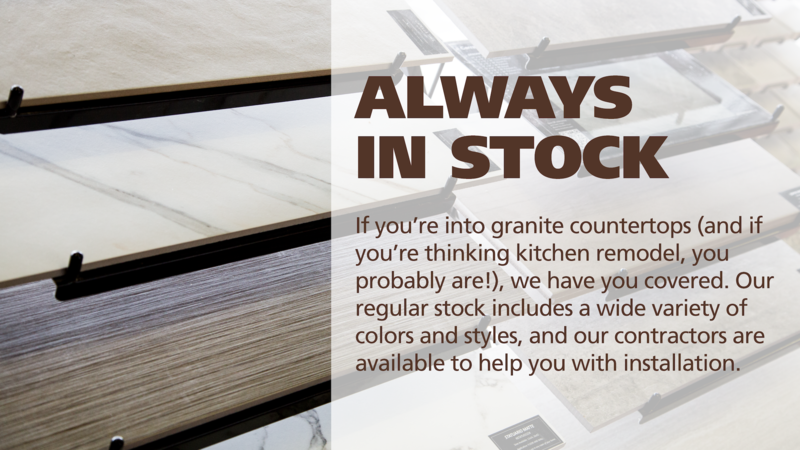 Chances are we have the perfect fit for you in our stores or our Tukwila warehouse. Why pay more for other people’s custom order? 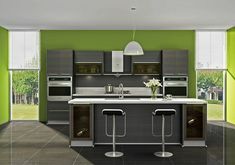 Come to one of our showrooms and our kitchen remodel expert will help you find the right choices. without breaking your bank account. 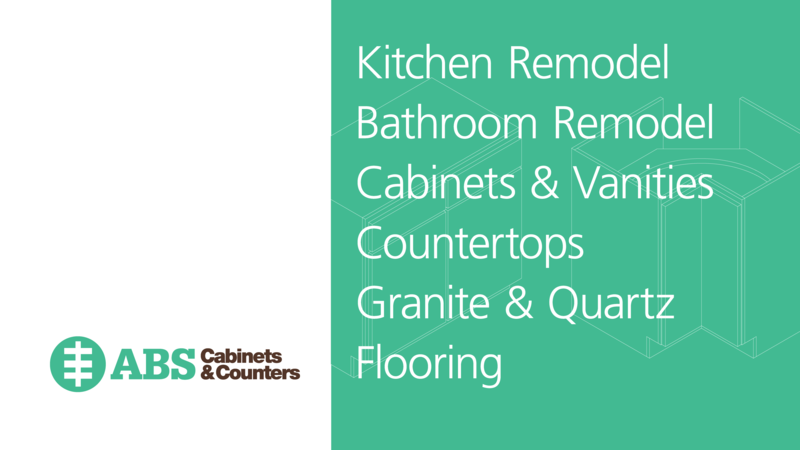 Whether you’re a seasoned home improvement expert or a new home owner embarking on your first project, a contractor working with a team of professionals or a DIY enthusiast who needs a partner in crime, let ABS be your trusted resource on the whole kit and caboodle, from vision to installation and everywhere in between. 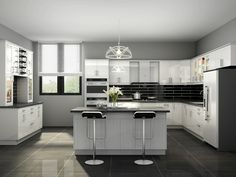 A full kitchen remodel can break the bank and cause upheaval in your home that drags on for months. 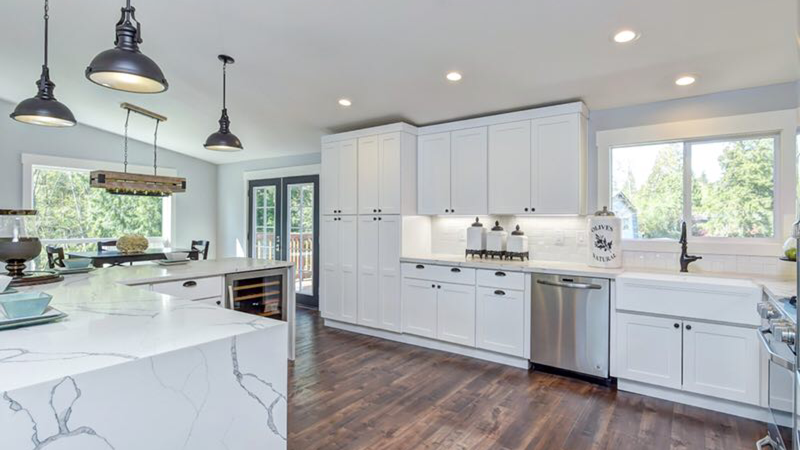 Over the years, we’ve honed our streamlined, efficient, and cost-effective kitchen remodel process that’ll have you cooking, eating, and sharing moments with friends and family in a space that you love – in no time! 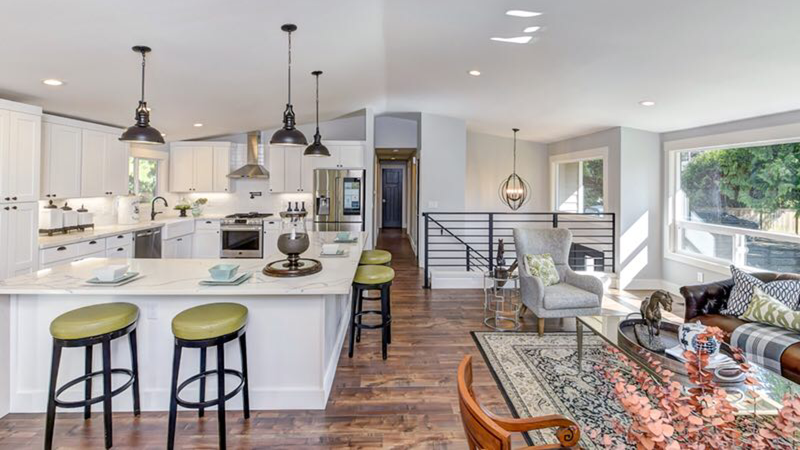 No matter where you are in your kitchen remodel timeline, we welcome you to visit one of our showrooms – we are located in Bellevue and Seattle – and we will walk and talk you through all of the options. 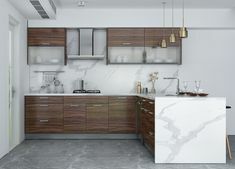 Peruse our huge collection of kitchen cabinets, granite slabs, flooring tiles, and kitchen sinks – check out our samples, and get inspired browsing our catalog and visualization tools. NEW PRODUCT We saw a lot of excitement around this new product line! 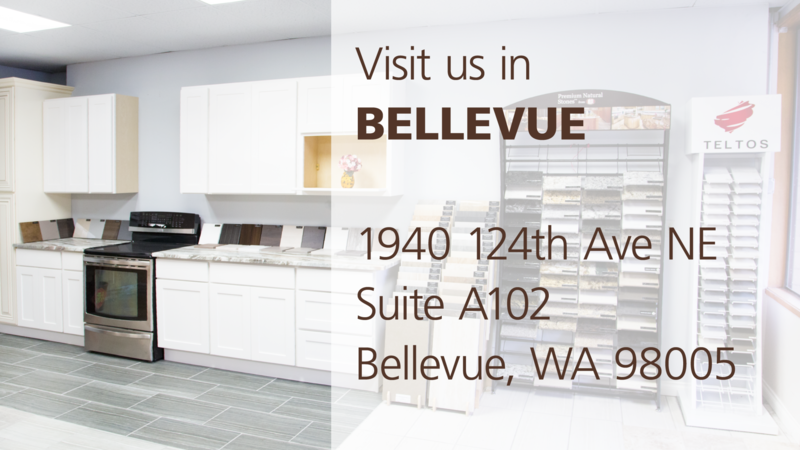 Come to one of our showroom in Lynnwood, Seattle, or Bellevue and try them out. 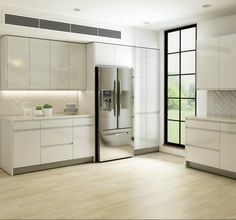 Get one and you’ll start loving kitchen chores again! 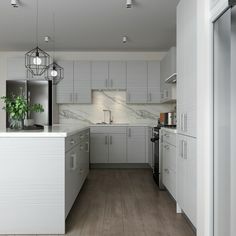 Why wait half a year to have your kitchen done? 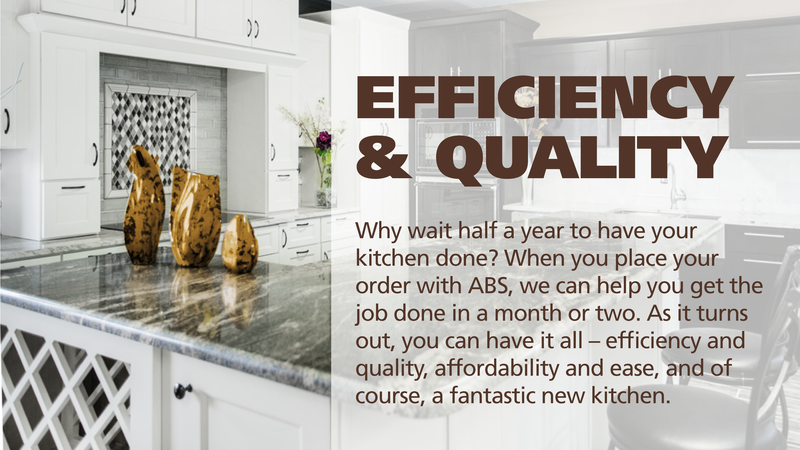 When you place your order with ABS, we can help you get the job done in a month or two. 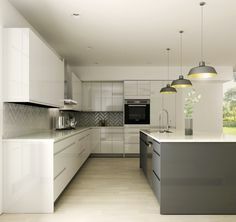 As it turns out, you can have it all – efficiency and quality, affordability and ease, and of course, a fantastic new kitchen. 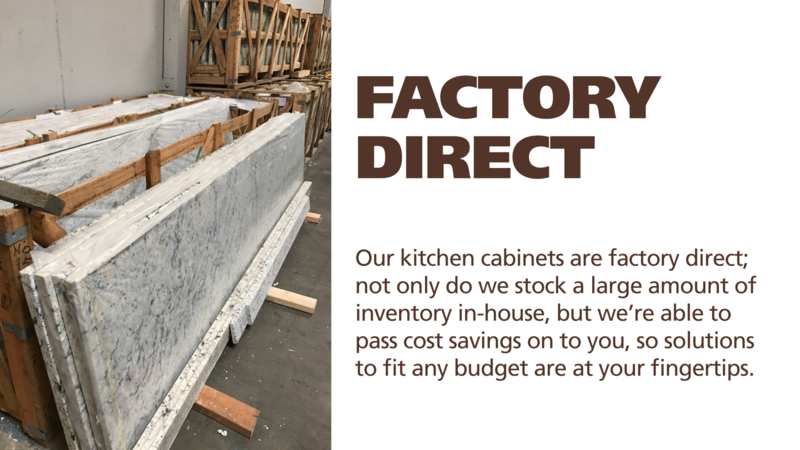 Our kitchen cabinets are factory direct; not only do we stock a large amount of inventory in-house, but we’re able to pass cost savings on to you, so solutions to fit any budget are at your fingertips. 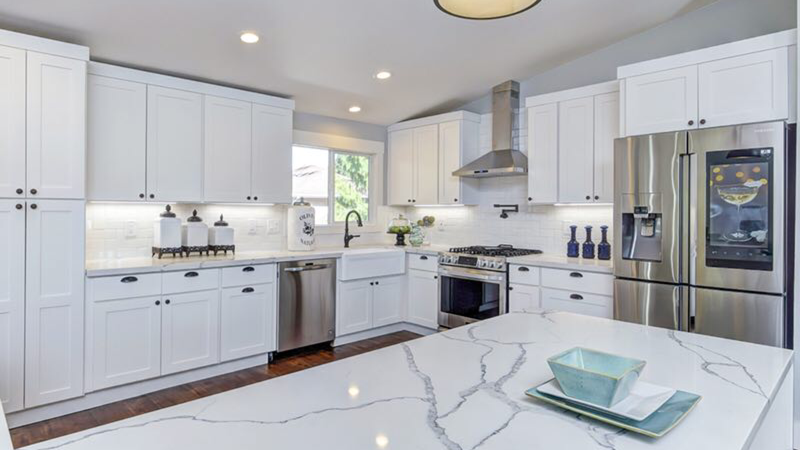 If you’re into granite countertops (and if you’re thinking kitchen remodel, you probably are! ), we have you covered. 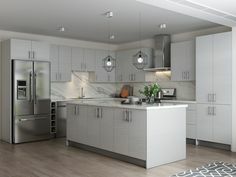 Our regular stock includes a wide variety of colors and styles, and our contractors are available to help you with installation. 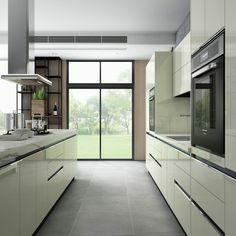 Check out our Pinterest pins below for more kitchen ideas! 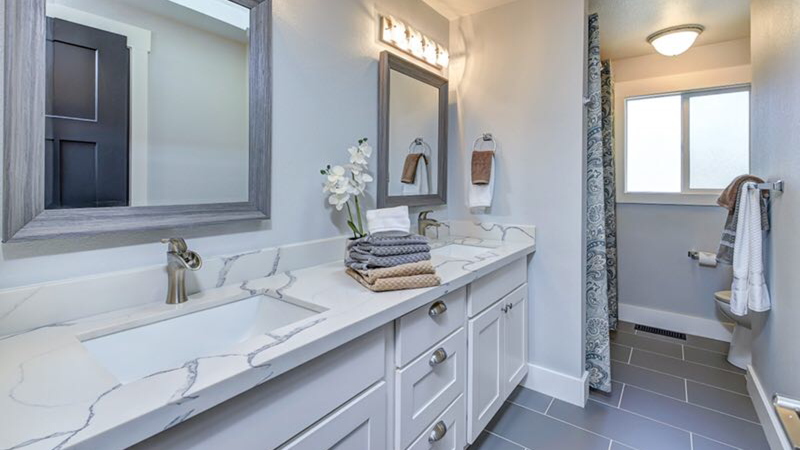 With some DIY spirit or professional touch, you can achieve exceptional looks with a fraction of the cost using our quality products as a starting point.